Mahendra: Except for one person. Mahendra had assumed that Binodini would now appear before him frequently on the flimsiest of excuses. But he was wrong about her. She completely avoided him; he never saw her while he was leaving home or going about the house. He could not raise the topic with his wife for fear that of giving away his eagerness to see her friend. Somehow the fact that he felt he had to hide even a natural interest in Binodini’s company seemed to make him want to see her even more. Her disinterest fuelled his desire even more. He had firmly expected that Asha would give him a detailed and enthusiastic report on the subject without him asking. But when he waited in vain without hearing from her, he asked the question with a show of nonchalance. Asha was in a fix. Her friend had actually said nothing. This made Asha very annoyed. Mahendra was a bit disappointed at this; in addition, it had the effect of making it even harder for him to remain ambivalent about Binodini. This was another proof that Mahendra was very different from everyone else, including Bihari, Asha thought. Mahendra suddenly developed a keen interest in taking photographs. He had once started to learn photography before but had quickly tired of it. This time he even got his camera fixed and bought the chemicals needed to develop the prints before starting to take photographs of everyone, even the domestic staff at home. Asha requested Mahendra to take one photograph of Binodini. Asha had to think up another plan and this time again Binodini was completely aware of the scheme as soon as Asha thought of it. The plan was that Asha would entice her to her own bedroom and somehow put her to sleep upon which Mahendra would take a photograph of her and they would have their revenge. Mahendra destroyed the photo when he heard this. In this manner, through frequent photography sessions the two became very familiar with each other. This entry was posted on June 29, 2013, in Rabindranath Tagore's Novels. Ela remembers that the beginnings of her life were enveloped in opposition. Her mother Mayamoyee was obsessive by nature, her behavior refusing to take any path dictated by logical thinking. She would throw her family into despair with the ups and downs of the inconsiderate ranting of her illogical nature, she would discipline unjustly and suspect for no reason at all. When her daughter refused to admit to doing something wrong, she would suddenly say, ‘You are lying!’ And yet being completely truthful was one of the characteristics of the girl for which she was punished the most. Her nature grew antagonistic to every kind of injustice. To her mother, it was this very characteristic in her daughter that seemed to go against all the tenets of femininity. One thing she had observed since childhood was that weakness was the chief spur to oppression. The people who lived as dependents in their family were the ones who poisoned the air at home, encircled as they were within the confines of abuse and benevolence of others; they were the ones who fed her mother’s blind need to oppress without opposition. Her mind revolted against this unhealthy atomosphere and craved freedom more than anything else. Ela’s father Naresh Dasgupta had a degree in psychology from a foreign university. His powers of scientific analysis were brilliant and he was famous as a teacher. He had taken a position in a private provincial college as he had been born in the province; he paid little attention to his own advancement and knew even less about how to achieve it. Even after being tricked by people repeatedly after trusting them he was still able to trust his fellow men. The ingratitude of those who obtain favours by trickery or with ease is the most unforgiving and cruel. When he was faced with this, he never thought to question the justice of the behavior, preferring instead to explain it as a typical psychological phenomenon. His wife never forgave him for his lack of sense when it came to financial acumen and railed against him daily. Even though the events had happened in the past she was unable to forget them and her sudden barbed comments did nothing to sooth the torment they caused him. Ela was filled with sympathy and love for her father as she saw him betrayed and hurt again and again – the kind of love felt by a mother for an innocent child. She felt worst of all when her mother spitefully alluded in the course of her tirades that she was wiser than her husband. Ela saw many examples of her mother’s disrespect for her father and shed tears in helpless anger at night when she was alone. She could not help blaming her father for the great harm he did by displaying such excessive patience with his wife. ‘Putting up with it in silence is far less useful,’ Ela said as she walked away. She had noticed that the people who were good at placating her mother also conspired against those who had done nothing wrong to ensure they were treated cruelly. Ela could not bear this and would often present proof to the contrary to her mother. But irrefutable reason is always seen as unbearable insolence by the superior blinded by pride. It never advances the ship of justice like a fair wind should, but topples it instead. There was another negative aspect to her family life which hurt Ela’s sensibilities daily. Her mother was obsessive about caste. One day Ela had spread out a grass mat for a Muslim guest; after he left, her mother threw it out, but Ela knew for certain that if she had asked him to sit on the carpet, there would have been no question of disposing of it. Ela’s nature would not be satisfied without questioning things. She asked her father one day, ‘Why do all these rules and restrictions about touching things and bathing if one does touch inappropriate things always seem to apply to women? These do not speak of the kindness of the soul; infact they go against it; there is a sense of blindly adhering in a mechanical way.’ Her psychologist father answered, ‘Women have minds that have been shackled for a thousand years; they follow, they do not question, and this is the very behavior that is rewarded by society, the more unquestioning and blind their submission, the more prized they are by society. Effeminate men have the same problem.’ Ela could not desist from questioning her mother repeatedly about the futility of her rules, but she was always answered with rebukes. This constant sniping was gradually making her grow argumentative. Naresh noticed that Ela was affected by the discord around her; this was a source of great pain to him. One day Ela came to him after a particularly harsh and unnecessary episode and said, ‘Father, send me away to a boarding school in Kolkata.’ The idea was distressing for both but her father understood and even though Mayamoyee presented many objections to it, Ela was sent away while he remained, immersed in his studies and his teaching in his unhappy household. Mayamoyee observed, ‘If you want to make your daughter into one of those fancy Westernised types then do so, but your darling will suffer when the day comes for her to live with another family. Do not blame me then!’ She had often expressed her views about her daughter’s desire for independence being a sign of the ill fated times and voiced great sympathy for Ela’s future mother – in – law, a woman who would have to put up with all manner of misbehavior in the near future. This had enforced an idea in Ela’s mind that women prepared for marriage by blunting all sense of self respect and numbing every understanding of what was right and what was wrong. Her mother passed away when Ela had entered college after finishing her matriculation. Naresh tried to get Ela to agree to proposals of marriage every now and then. Ela was extremely beautiful and there was no shortage of prospective grooms but she was completely averse to the idea of marriage. As a consequence when she finished all her examinations her father passed away too, leaving her unwed. Suresh was his younger brother. Naresh had helped to raise this sibling and had even paid for his studies. He had suffered many barbs from his wife and had even incurred debts after sending Suresh abroad for two years. Suresh was now employed in a high post in the Postal Department. He had to tour various areas as part of his job. He became Ela’s guardian, a responsibility he accepted with great joy. His wife was Madhabi. She came from the sort of family where women were required to be educated to a certain degree and not a great deal by any means. When her husband took up his position and had to engage socially with various people, Madhabi managed to pick up foreign pleasantries and mannerisms with ease. She was even able to make do in the British clubs with a smattering of rudimentary English which she disguised by laughing often, with or without reason. ‘One does not become educated just by learning a couple of notebooks by heart!’ Madhabi said, before leaving the room with a flounce. Even so she stopped short of saying to Suresh, ‘Your daughter is thirteen. If Ela is still around when you start thinking of her marriage, and the way all these men want pale skinned women, will anyone look at Surama at all? What do they know of beauty?’ She would sigh deeply and think there was little point in telling her husband these things; men were so blind when it came to life. She stepped up her efforts to organize Ela’s marriage quickly. There was hardly any need to do much as good matches seemed to turn up easily, men that Madhabi would have dearly loved to see wed to her own daughter Surama. And yet, Ela refused them all. Suresh was worried by this obstinate lack of judgment in his niece while her aunt became very impatient. 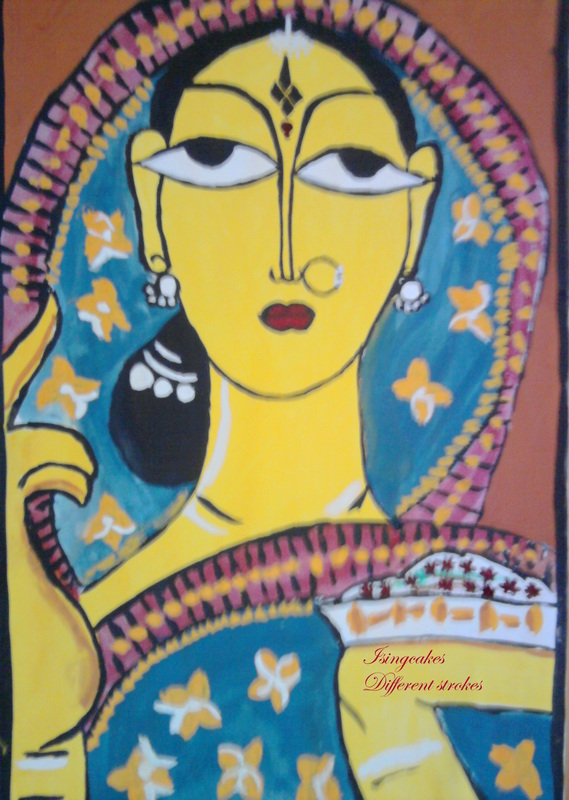 She knew that dismissing good prospective husbands was a crime for Bengali women of marriageable age. She worried about various possible disasters that were sure to occur given Ela’s age and her heart was overwhelmed with a sense of responsibility. Ela clearly saw that her uncle’s affection for her would soon be at loggerheads with the happiness of his family. Ela trembled when she heard this. And so she did, she went away to work. This entry was posted on June 28, 2013, in Rabindranath Tagore's Novels and tagged Char Adhyay, Rabindranath Tagore's novels. মহেন্দ্র। তোমার সখীর যেরকম রূপের বর্ণনা কর, সে তো বড়ো নিরাপদ জায়গা নয়! Asha thought to herself, there was no answer to these words. Her husband did do Binodini a great wrong by thinking of her as an outsider and being annoyed with her for no reason. It was not as if Mahendra was not eager to see Binodini. He often thought about her these days. But he knew that this interest was inappropriate. When his mind turned to thoughts of the unknown woman with an inevitable eagerness and curiosity he felt belittled before his own ideals. Eventually he asked his mother to get rid of Binodini from the household. Mahendra used to see the fact that Asha loved Binodini as somehow diminishing her love for him. He would say with some pride, ‘Your love is not as exclusive as mine.’ Asha did not agree to this, she quarreled with him and shed tears but to no avail; she could not win the argument. ‘You want to see me just because your wife says so! I am not to be had that easily!’ Binodini thought to herself. Binodini did not agree to see him at all. Asha felt quite embarrassed in front of her husband. Mahendra was secretly very annoyed. Why would she not appear before him? Was he like all other men? If it was any other man, they would have met Binodini a long time ago on some excuse. Mahendra had not even tried that, did not Binodini understand what he was like from observing these things? If Binodini gave him one chance she would see how he was different from all other name. 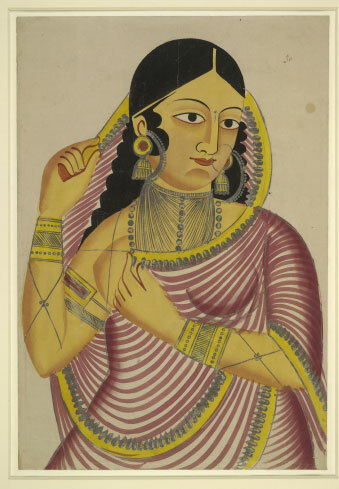 Asha proposed to her husband that she would bring Binodini to her room when Mahendra was supposed to be at his college and he could then suddenly appear and surprise her. Mahendra did not answer her straight away. Asha pleaded with him to keep his word. Mahendra was growing very keen to see Binodini but he masked this with a great show of careless ambivalence about agreeing to meet her. Binodini was teaching Asha how to make a pair of carpet slippers in Mahendra’s empty bedroom one sunny afternoon in autumn. All was silent about them. Asha kept looking at the bedroom door and her repeated mistakes only served to demonstrate her lack of skill to Binodini. Asha said, ‘Just wait a bit more, I will get this right this time.’ She then started sewing again. In the meantime Mahendra had come to the room and was standing at the door behind Binodini, unnoticed. Asha did not look up but she started to smile softly as she sensed his presence. Binodini said, ‘Whatever has happened to make you laugh so much?’ Asha could not hold her secret to herself any longer. She laughed out aloud and threw the tapestry at Binodini saying, ‘No, you were right, I won’t be able to do this, ever!’ She flung her arms about Binodini’s neck and laughed even harder. Binodini had guessed Asha’s plan right from the beginning. She had seen through Asha’s excitement and her behavior. She had known the very moment when Mahendra came and stood behind her. She had pretended to be trapped by the extremely flimsy pretences Asha had presented. Binodini started, pulling her veil down making as if to leave. Asha held her by the hands. This entry was posted on June 26, 2013, in Rabindranath Tagore's Novels and tagged Chokher Bali, Rabindranath Tagore's novel. Asha silently shook her head in remonstrance at Mahendra from beneath her veil. Asha sent looks of anguish at him again. 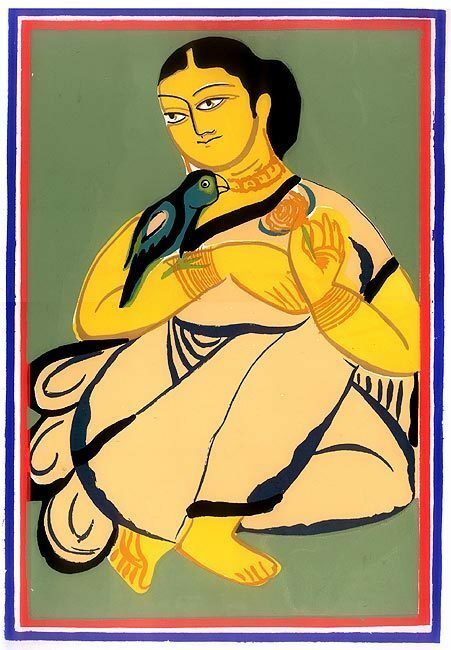 Mahendra had never seen Binodini so far, but Bihari had. He had understood that she was not the sort of woman one left in a forest to languish. But he also realised that a flame can be both the calming focus of the altar as well as the wild spark that sets a house on fire. Mahendra teased Bihari at length over his concern for Binodini. Bihari answered back. He knew that she was not to be played with or even to be ignored. Asha would tearfully beg her to come and talk to her. But Binodini was steadfast. Asha was dying to tell her all about her days and nights but Binodini was not going to budge from her position. In the meantime Mahendra’s embrace seemed to be relaxing and the constancy of his admiration was starting to dim somewhat. The whimsical ineptitude of the past that he had once found so endearing was now starting to trouble him. He was now constantly annoyed by Asha’s inability to do things right but he would not say anything. Despite this, she understood that their continual togetherness was making his love for her grow less intense. A lot of Mahendra’s affection now seemed false and overwrought to Asha. There is no cure for this ennui but departure and separation. Her instincts as a woman told her to seek out others; she would try and leave Mahendra alone. But where was she to go to but to her only friend, Binodini? Mahendra raised his eyes from the heat of the conjugal bed and slowly started to turn back towards his studies and the duties of family life. He gathered his medical texts from a number of impossible hiding places to dust them off and aired his coats and trousers in preparation for his new life. This entry was posted on June 24, 2013, in Rabindranath Tagore's Novels and tagged Chokher Bali, Chokher Bali Chapter 12, Mahendra and Asha. The world does not know you, and yet it finds solace in you. Has anyone realized your endless beauty? I have surrendered my heart to you without knowing you. You are great and unfettered, while I am enclosed by seas. 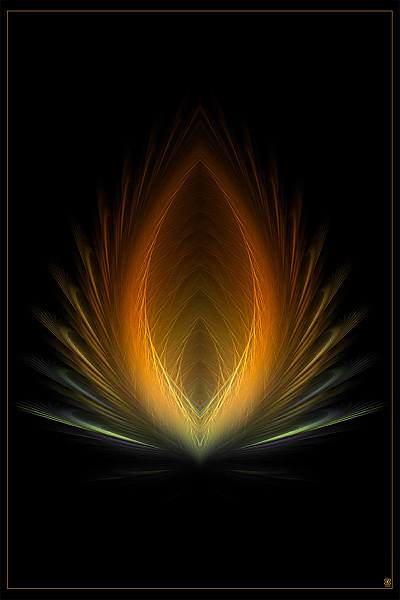 Yet you allow me a glimpse of the divine through wondrous union with you. This entry was posted on June 15, 2013, in Thoughts on Rabindranath and tagged Mohammad Quayum, Tagore and Nationalism. Asha desperately needed female company. The festival of love is never truly complete without a third person to hear and exult over its stories. Binodini’s hungry soul devoured all the tales of Mahendra’s wooing like a drunkard swilling down liquor even as it burns his throat. Her head buzzed with strange feelings and her blood grew agitated. In the silent afternoons when Rajlakshmi would sleep and the servants would disappear to their quarters. Mahendra would be at his classes after Bihari tried to talk some sense into him. The only sounds to be heard were the shrill but faint calls of the kites from the burning skies in the hazy distance. 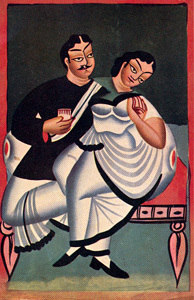 It was then that the two young women would retire to Asha’s bedroom, where she would lie on her bed with her hair spread all over her pillow while Binodini lay next to her, pillow clutched to her breast, her ears reddening at Asha’s whispered accounts of Mahendra’s exploits and her breath growing rapid as the time went by. Binodini would keep questioning Asha till even the smallest detail was laid bare to her. She would ask about certain things again and again, sometimes asking Asha to imagine different endings, saying, ‘Well, if he had done this, and what would you have done then.’ This would prolong their discussions and there is little doubt that Asha too found this rather enjoyable. Of course it could have happened. Why did it not happen? Once upon a time, this room, this bed – all these were meant to have been hers. As Binodini looks at the room today with all its expensive things, she can hardly forget that. Today she is but a guest here, she will have to leave tomorrow. In the evening Binodini would do up Asha’s hair beautifully and dress her in the latest of fashions before sending her to her husband. Her imagination seemed to veil itself and follow Asha through the empty rooms as she went to her young husband and stood before his admiring eyes. On other days she would not let Asha go so easily and say, ‘Why can you not wait just a bit more? Your husband is not running away! He is no wild horse, he is a tame pony.’ On those days she would try to delay Asha’s departure in various ways. But Binodini was the one with all the taste for seasoning – and yet she did not have a dish of her own to add it to. Her very veins felt like they were on fire. When she was in this mood, her eyes seemed to shower sparks. This entry was posted on June 14, 2013, in Rabindranath Tagore's Novels and tagged চোখের বালি, Chokher Bali, Rabindranath Tagore's novels.